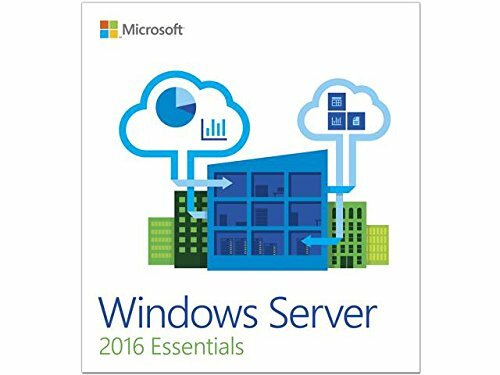 Windows Server Essentials is an integrated server suite designed for running network infrastructure of small and midsize businesses having no more than 25 users or 50 devices. Application server technologies are tightly integrated to provide and offer management benefits such as integrated setup, enhanced monitoring, Remote Web Workplace, a unified management console, and remote access. Reduce risk with multiple layers of security right in the operating system for on-premises and cloud protection. Easily make the move to the cloud with Hyper-V—the same hypervisor used by Azure. Build highly available, scalable software-defined storage solutions at a fraction of the cost. Realize the benefits of using containers for applications—with little or no code changes. Create new virtual machines in Azure and save up to 50 percent with the Azure Hybrid Use Benefit.